Company assures that it will deliver the best cross-platform benchmarking software, only when the software is ready. Update: Futuremark has informed TechTree.com that the new version of 3DMark for Windows will be launched on 4th February at 18:00 UTC (23:30 IST). Some of the new features includes a performance graph that displays the FPS, temperatures of GPU and CPU, and CPU power and clock speed during the benchmark run. These graphs are interactive — you can zoom in, change the scale, and pan the chart to focus on a specific part of the benchmark run. You can also click on a line to get the value of the parameter during that point in time while the benchmark was running. Android, iOS, and Windows RT versions are not yet ready, but will also be available within weeks. Futuremark, the maker of 3DMark graphics benchmarking software, has broken its silence about the launch of a Windows 8 version of the software. However, the bad news is that there are going to be more delays in delivering that much awaited new version. The company, which works together with engineers and technicians from AMD, Intel, Microsoft, NVIDIA, and other top technology companies, has put the blame squarely on the time it needs to gather and resolve the feedback from its partners. Even as the software moves closer to vapourware status, Futuremark has bluntly said "3DMark will be ready when it's ready", although it does go on to mention that it expects the launch to happen sooner than later. For those who came in late, 3DMark 99 was the first version launched in 1998, after which there were nine more versions released regularly to account for the changing hardware and DirectX API, adding support for testing new features. 3DMark 11 was the last major version launched in December 2010 with tests for special features of DirectX 11, seen in PC and laptop graphics cards. 3DMark's new version will have three benchmark demos: DirectX 11-based Fire Strike (for high performance Windows PCs), DirectX 10 Cloud Gate (for Windows notebooks and home PCs), and Ice Storm (for Android, iOS, and Windows mobile devices). The new version will also be available for Windows RT, iOS, and Android in the near future, although we are not sure if this will be a single version with cross-platform compatibility, or will it be available as separate platform-specific downloads. Traditionally, 3DMark has been available for only the Windows platform and the tests were based on DirectX API. However, the cross-platform version will have to take a path different from DirectX on iOS and Android devices, which do not support this APU. In order to get low-level access to the hardware in this case, the benchmarking software will make use of OpenGL ES 2.0. 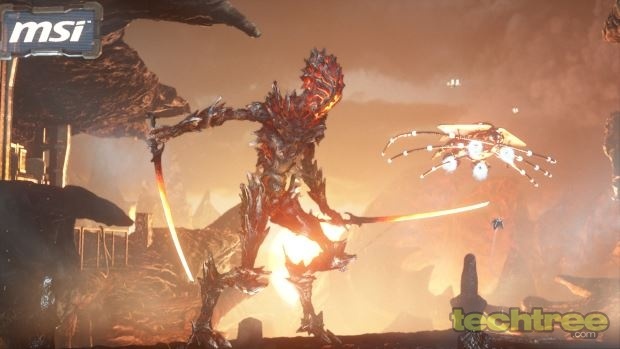 While Futuremark has shied away from mentioning a launch date, looking at its past record of delivering during the last or first quarter of a year, we expect the new version of 3DMark to be launched by March-April this year.